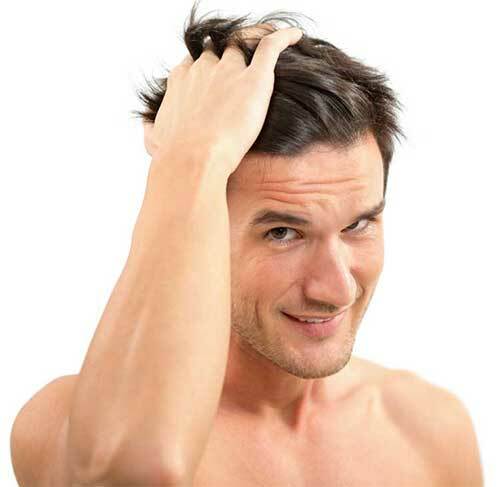 WHAT IS HAIR RESTORATION WITHOUT TRANSPLANTATION? This procedure is perfect for anyone who has thinning hair and is not interested in having hair transplanted. Thickening hair that was thinning. Blood is drawn in our office as though you are having routine blood testing at your primary care physician’s office. The blood is spun in a centrifuge and the PRP (Platelet Rich Plasma, otherwise known as stem cells) is separated and removed from the rest of the blood. The PRP is taken from your body and is specially prepared by spinning down the blood cells to a high concentration. After centrifugation, the platelets and other vital growth proteins raise to the top of the tube. Under a topical anesthesia, a special micro needling device is used to stimulate the dermis of the scalp. This micro needling stimulation causes micro trauma to the dermis that induces other healing and growth repair cells into action. The highly concentrated PRP is then injected into the scalp and applied topically. The PRP contains many growth factors that stimulate the hair follicle’s growth. PRP can be used preoperatively, intraoperatively, or post operatively. Some patient’s chose to have PRP performed every three to four months as early data suggests regular or semiannual PRP treatments can stimulate hair growth.